A self-service breakfast of cereals, fruit, toast, oatcakes, home made jam, juice, tea and coffee is available 8am - 10.00am. 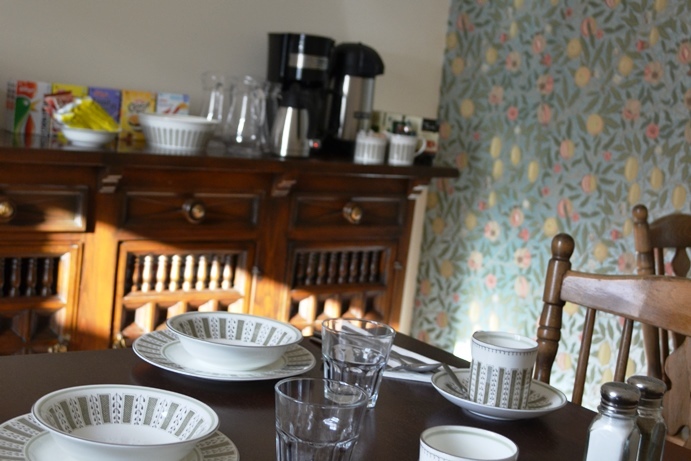 If your travel plans require an earlier or later breakfast we will do everything we can to accommodate - please inform us when booking or give as much notice as possible. Please note that we regret we are currently not able to provide a cooked breakfast.